Uplift your look in this stunning Ivanka Trump blouse. ; Lightweight cotton tri-blend fabrication with allover striped design. ; Split neckline. 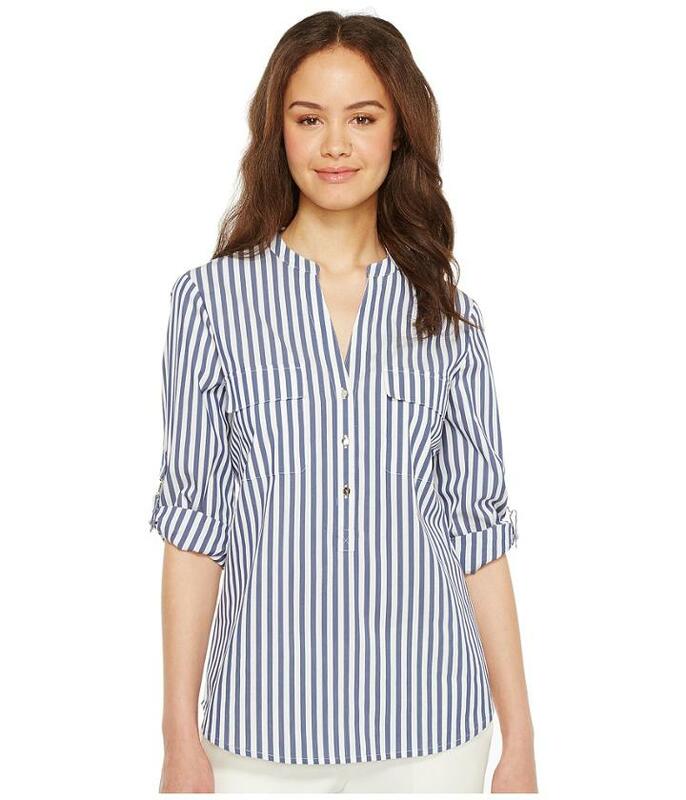 ; Partial button-front placket. ; Long sleeves with convertible roll-tab cuffs. ; Left chest pocket. ; Inverted back pleat. ; Curved hemline. ; 70% cotton, 27% nylon, 3% spandex. ; Machine wash cold and tumble dry low. ; Imported. Measurements: ; Length: 27 in ; Product measurements were taken using size SM. Please note that measurements may vary by size.